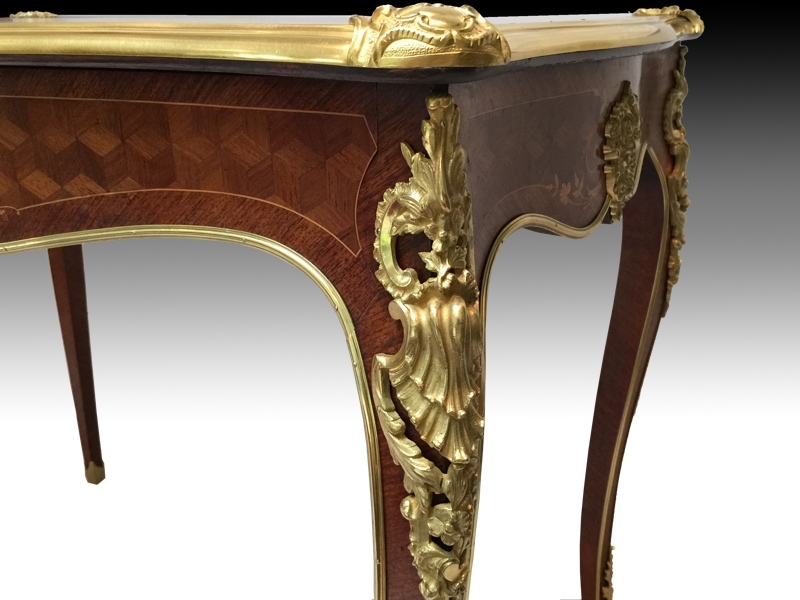 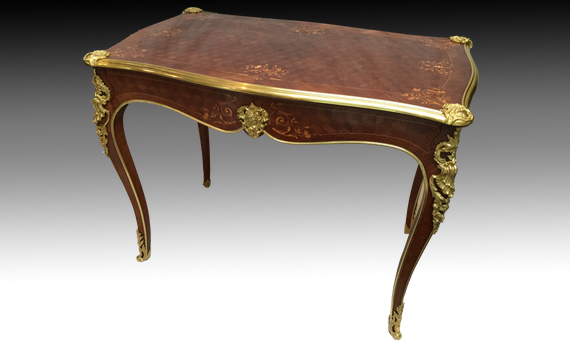 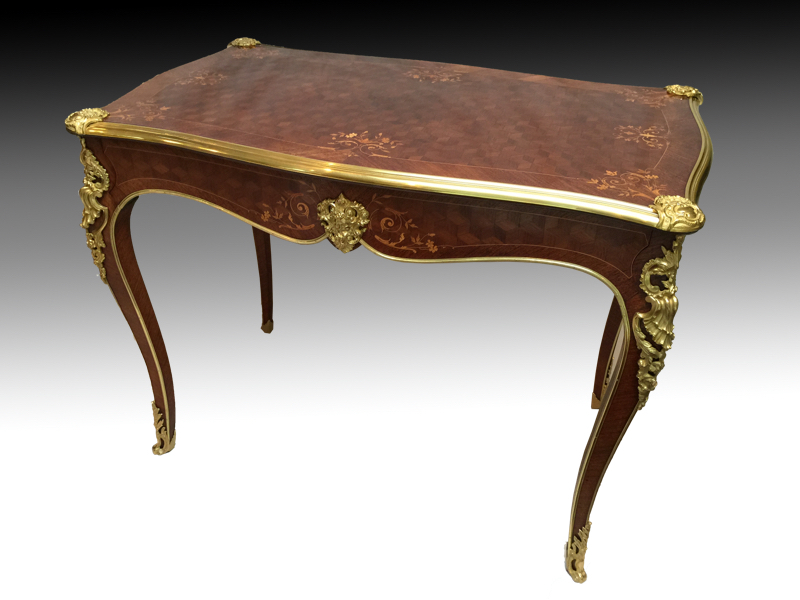 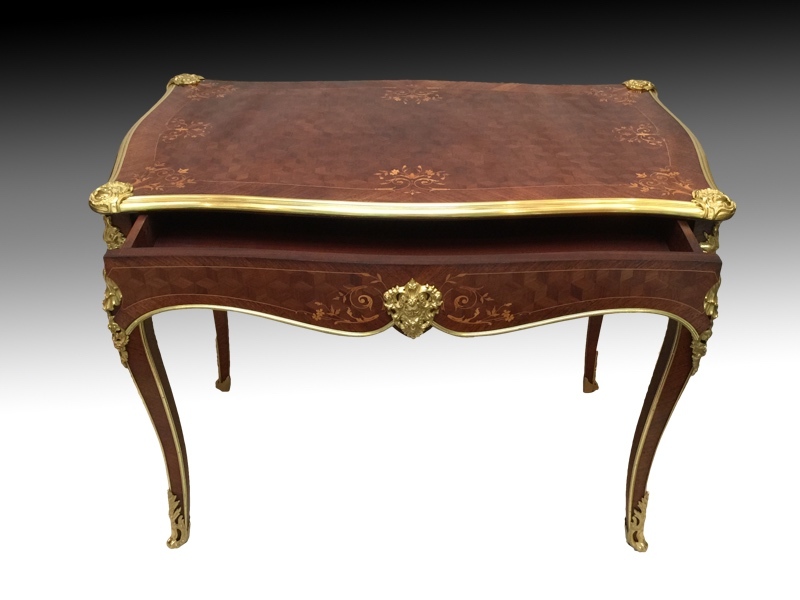 A late 19th century, French, rosewood and marquetry inlaid centre table with ormolu mounts. 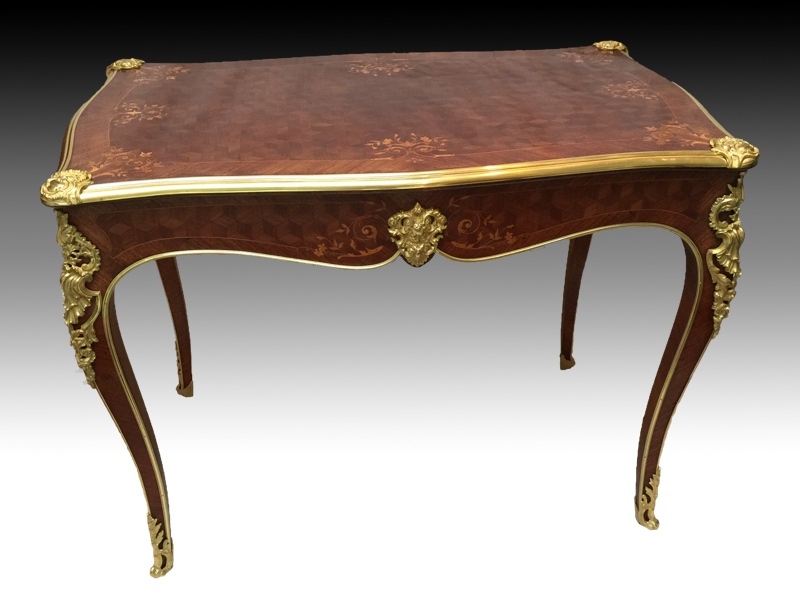 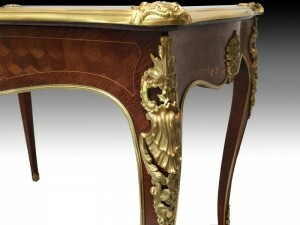 The parquetry inlaid serpentine shaped top with floral spandrels, above a single drawer. 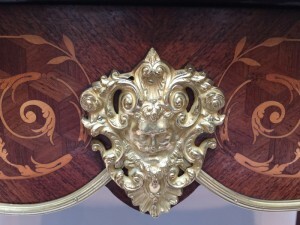 The shaped frieze with four cabriole legs ending in sabots. 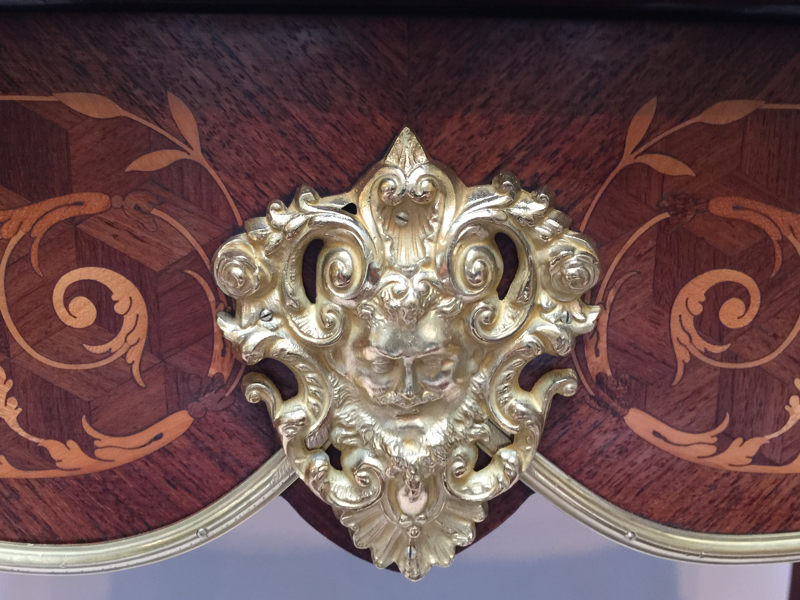 Each mount stamped ‘LW’, regilded.